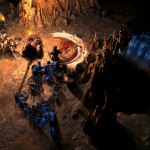 Path of Exile’s Delve launches August 31 with an infinite dungeon; here’s our chat with Grinding Gear’s Chris Wilson! Picture this: an underground dungeon that gets progressively more challenging — and rewarding — the deeper you go, and there is no end. Not no end in sight, but no end. An infinite dungeon. Does this sound like a dream come true to you? 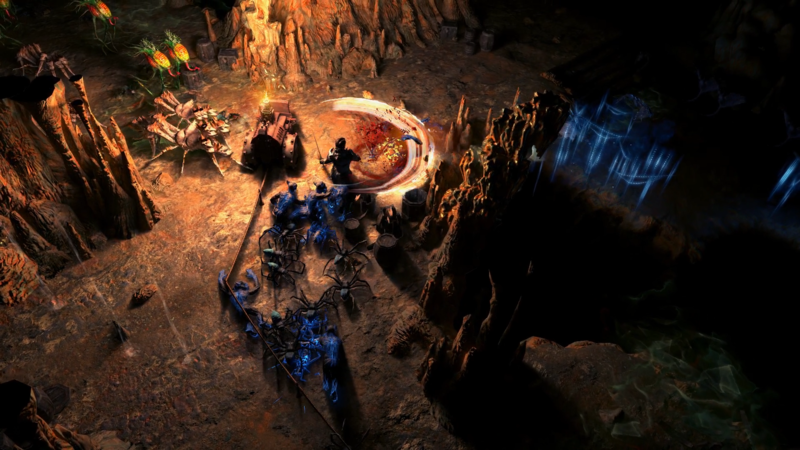 Well go ahead and smile because Path of Exile is delivering just that on August 31st (unless you play on Xbox One, then you have to wait until September 3rd). 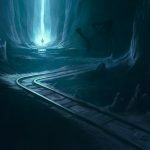 The next league is aptly called Delve, and its all about descending into a never-ending mine shaft, reaping rewards while staving off the dangers in the darkness — with the darkness itself being one of those dangers! While that info alone might be enough to keep you entertained for a bit, we know you want more. 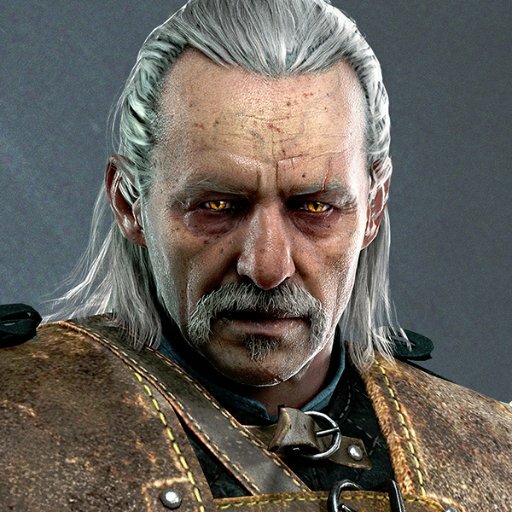 So I had a little chat with Producer Chris Wilson to learn more about this intriguing idea with its new mechanics and features to pass it all on to you. And who knows? 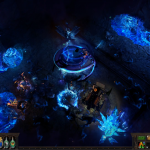 This might be just the beginning: Wilson called this “Path of Exile’s first infinite dungeon,” which would lend you to believe that more numbers could follow. 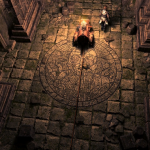 The darkness cannot be penetrated by mere torches, so new technology was developed to allow players to explore. The inventor of this technology is Niko the Mad. 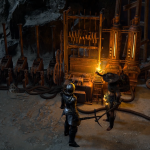 His system of a cable-laying robotic mining cart and generator will enable players to descend into the mine… if they bring him a way to power it all. This generator needs a mineral called voltaxic sulphite in order to produce the light bright enough to pierce the darkness and afford a small space of safety from its damage. 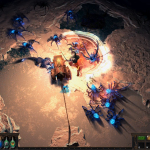 If players find this mineral out on the surface of Wraeclast (and there will be about one per adventuring zone), they just click on the deposit to summon Niko who will mine it. 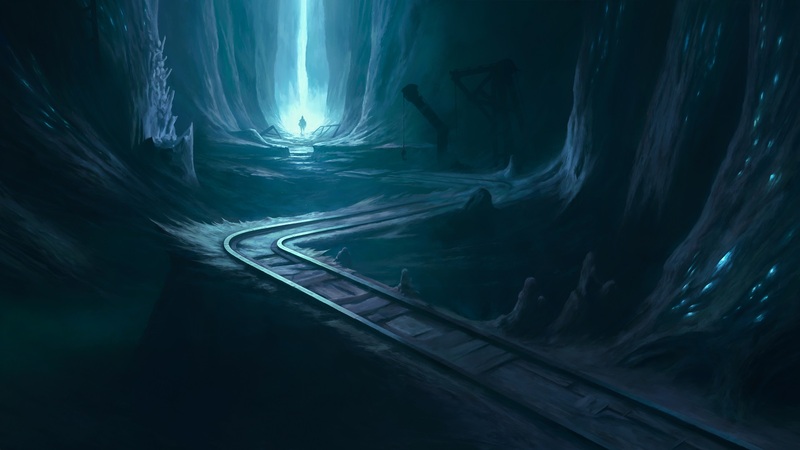 At that point, players can choose to click on Niko and dive into the mine right then for a short delve or stockpile the sulpite and continue on their current adventures for now. 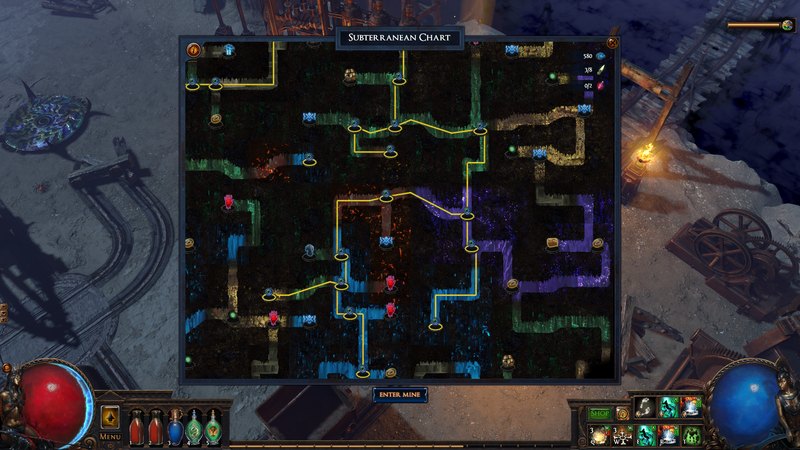 Saving sulphite also allows players to do a much longer, deeper delve. Obviously there are going to be players who want to explore further than the crawler allows, and there is a method for (relatively) safely doing so. Flares provide a brief period of illumination. 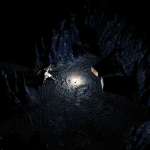 Throwing them into the dark allows players to explore off the beaten path. Just be sure you have enough flares to get you back to the cart and the light’s safety! Another feature in this league is dynamite. Knowing that the darkness damages, it’s obviously not a good idea to stand in it and sort your loot. Micromanagement of inventory is not a task to undertake in the middle of a delve! 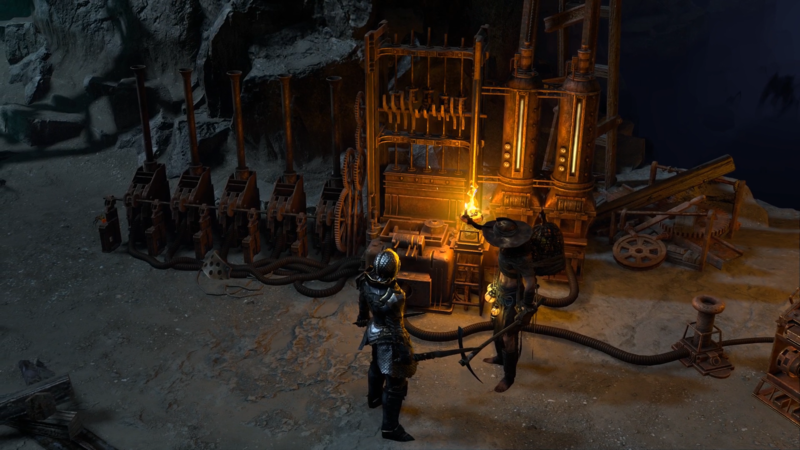 The good news (for people like me especially) is that the mining cart collects the loot dropped from mobs for you so that you don’t have to stand there taking darkness damage while deciding what to keep. The cart will then cough up all your goodies when you reach the end and you can take time to sort there. The one very notable exception to this are the chests, or anything off the same screen of the cart. While the chests hidden in the darkness are filled with more alluring loot, you do have to pick the loot up yourself, so be mindful of your inventory before so you don’t die to darkness while deciding! 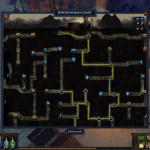 When you reach the end of the line for that particular delve, the cart stops and players have a final encounter. Defeating that encounter means that this staging point is now hooked up to the power grid and unlocked for players to use. 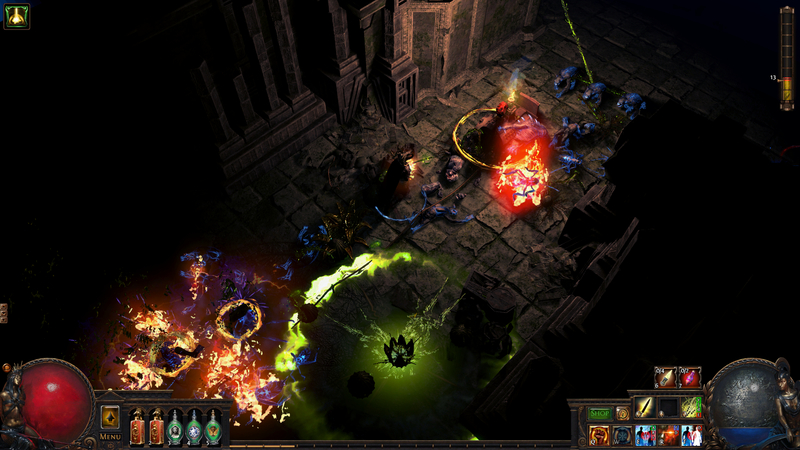 Players will see what nodes are connected on their personal map by the a bright yellow line. In Delve, it’s not about who goes the highest but who goes the lowest. Wilson explained that this will be the ultimate test of really who is better, especially among the streamers. After all, it is plainly obvious exactly how low a player has gone in the mine and that can be compared to others, whereas content in other leagues was effectively capped. Progression in the mine is handled mostly with azurite, the mineral found within the mine. These blue crystals are automatically vacuumed up by your character as you run near them so there is no need to stop and pick them up. 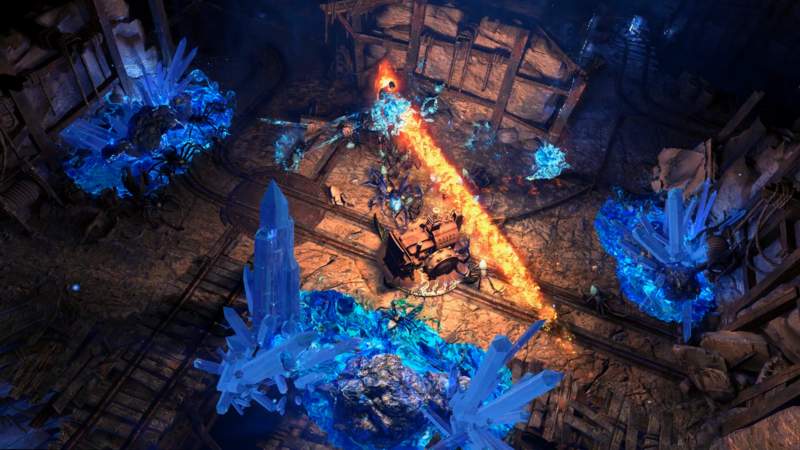 The azurite is what is used to upgrade the crawler as well as the flares and dynamite, and which it is spent on is players’ choice. 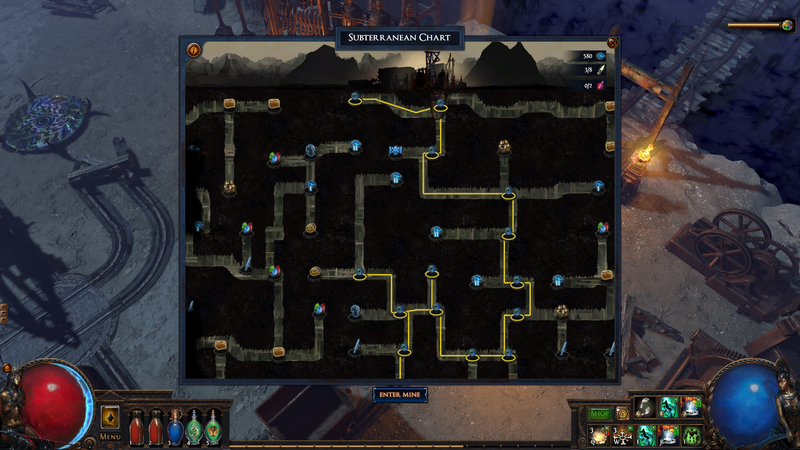 You can increase your sulphite capacity, darkness resistance, and the light radius of the crawler. However, you can also choose to upgrade your flares (maximum number, duration, and radius) and or your dynamite (maximum number, damage, and radius). Wilson said the flares and dynamite options are there to tempt the players away from what they should be spending it on, and those tools are quite powerful when upgraded. Will you decide to make yourself withstand the darkness more or focus instead on your tools? 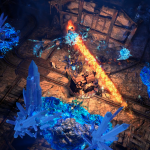 One of the big (and sure to be very welcome) changes in Delve is chucking some of the crafting randomness to the curb. “We like the randoness,” Wilson explained, “but there, of course, are problems with it being completely random. So one of the things we wanted to try in this league is finding a middle ground with crafting between complete randomness and some degree of determinism.” That’s where a new socketable currency comes in to play, resonators. Resonators come with sockets, usually one, but there are more powerful ones with up to three. The sockets are filled with fossils, ), and players can socket fossils they find in them. These fossils will say what type of bonus it will grant, just not what the bonuses will be. For instance, the one Wilson showed me stated, “more lightning mods, no physical mods.” So you know whatever it is put on will add lightning mods, an important thing if lightning is what you want! So now, instead of trying to reroll items constantly looking for the type of mods you want, you can put those desired mods on specifically. The randomness is still there in what exactly those mods end up adding to your gear. So there will likely be some rerolling to get what you want but not the tons of rerolling from before. 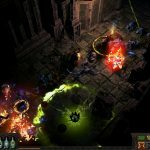 That said, based on the popularity of primordial chain just within the office, Wilson feels like his dream of a sleeper unique item that he can say “I told you so” about will likely have to wait for another one. There are also new skills, such as Smite for guardians and Toxic Rain for rangers. Smite shoots both a target and another nearby enemy with lightning while simultaneously buffing teammates (either minions or other players) with increased lightning damage and a chance to shock. Toxic Rain creates spore pods which will both root enemies and cause chaos damage until the pods finally explode. There are 10 new skills in all, and Grinding Gear Games will delve into more details about each of them as the month progresses. There are also very rare time-worn reliquary keys that players can find. These keys will open up a portal to a very special chest. Why would you care about this particular rare chest? In it will be one unique item from leagues past that cannot be obtained any other way. Wilson emphasized that this is a very rare golden-ticket type of item, and most people should not expect to find one. Why is it so rare? Because, he explained, the team wanted to go with the odds of getting anything from the chest being equal (instead of being more likely to get junk), so instead the team made the rarity the actual key. 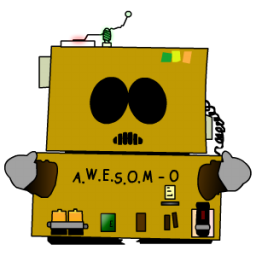 Additionally, Wilson showed me a number of the graphical improvements coming in this update. And they look pretty awesome. 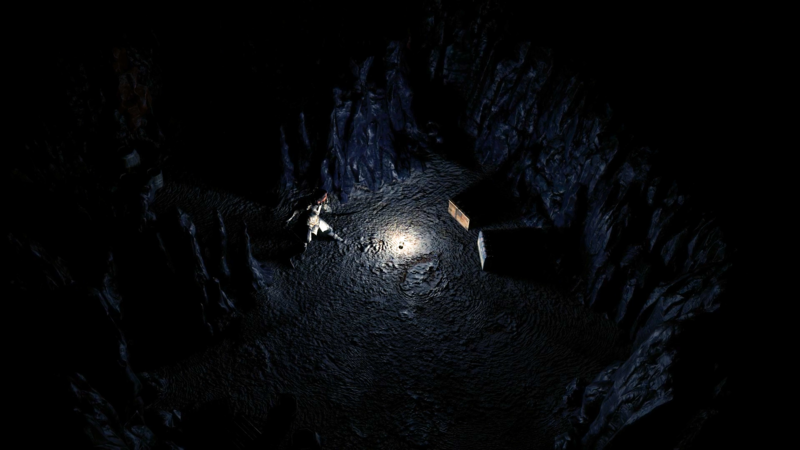 Shadows and light are one of the biggest improvements (which makes sense, since light and darkness are vital in the underground mine). 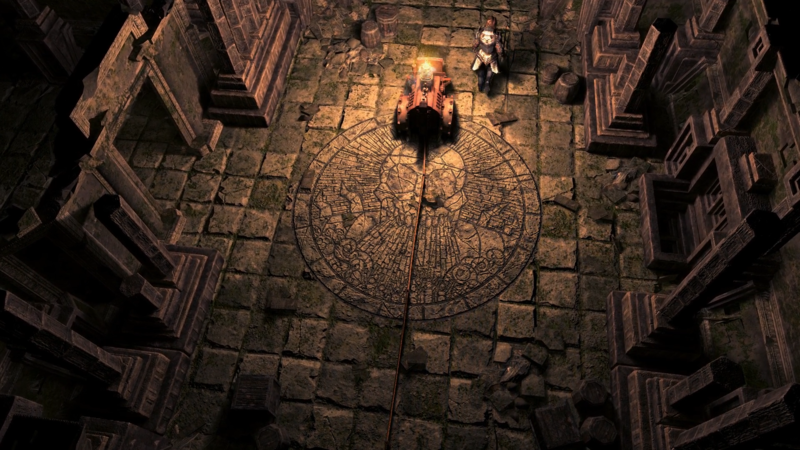 Items that wouldn’t necessarily cast light and shadows before, such as skills, will now thanks to new way GGG has worked out to do global illumination that won’t be super taxing to use; Wislon said 75% of PoE players would be able to leave it on without hurting their performance. Ambient occlusion is also added. Just how good is it? Take a look at the walls next time you are fighting deep down in the darkness. Wilson said all these lighting changes really improve the look of the game everywhere without a need to upgrade the art. I don’t know why, but I HATE the idea of an infinite dungeon. When do you stop? How do you get back to a favourite spot? Each delve from point to point is one separate little dive, so you stop at the end of each one. If you want to go again, you can. 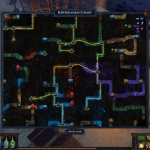 At the end of each delve is its boss fight so you basically get tons of mini dungeons. As for going back to favorite spots, no you don’t redo any of the content. It is all new going forward. But you can take a look on the map and see if some area looks like it will be what your favorite areas were and aim for them to do. Reading this next to the article on Endless Trials, I wonder: Has anyone ever tried making leveling the endgame? What if instead of skipping leveling to get to the endgame, we skip the endgame and just keep leveling, and the point becomes to see how far you can push into progressively more and more difficult zones and enemies? This seems more like an expansion than a league, tbh. 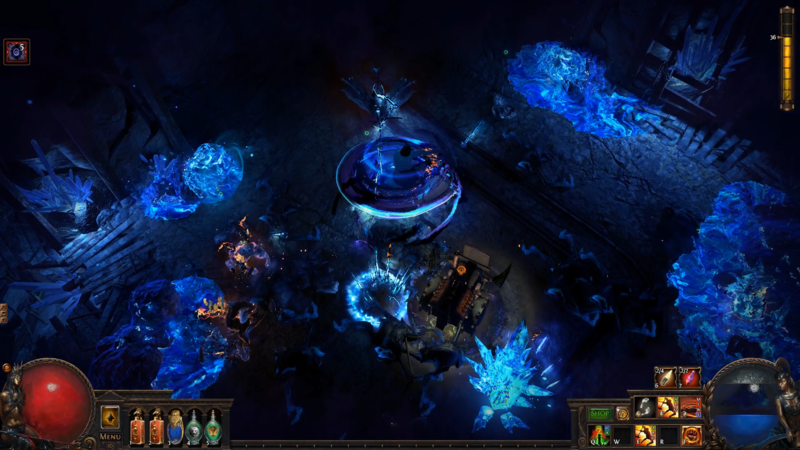 And btw: the announcement said the Delve is PoE’s first infinite dungeon. Meaning, if this goes well, they will probably add more. That’s why my intro includes his quote to me about being the first. Once you start counting, you infer there will be more to count! So. we’ll be mining Azurite while over in WoW they’re mucking about with that inferior Azerite. Always interested in PoE’s leagues. This one sounds like a lot of fun. Very interesting. 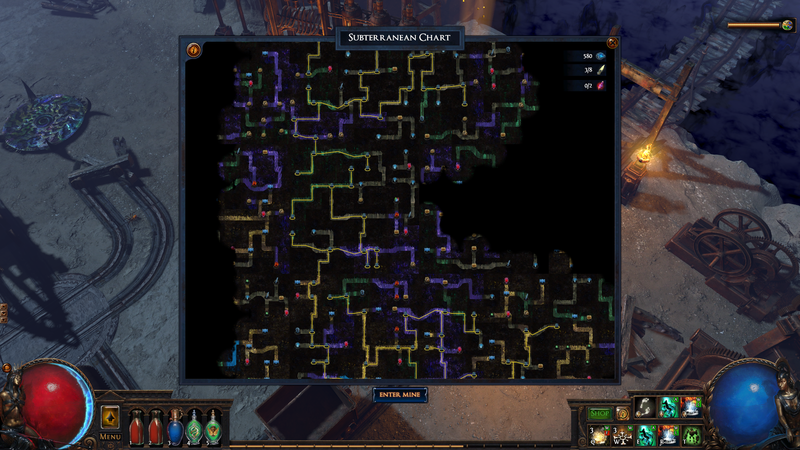 Depending on how often you can Delve, I could see this being a fantastic alternative to maps. Some of the new features look good as well. I’m curious to see the Guardian update, and the remaining new skills; the Dominating Blow revamp looks very interesting. Of course, new build-enabling uniques are also fun. I don’t think it’s meant as an alternative to maps. 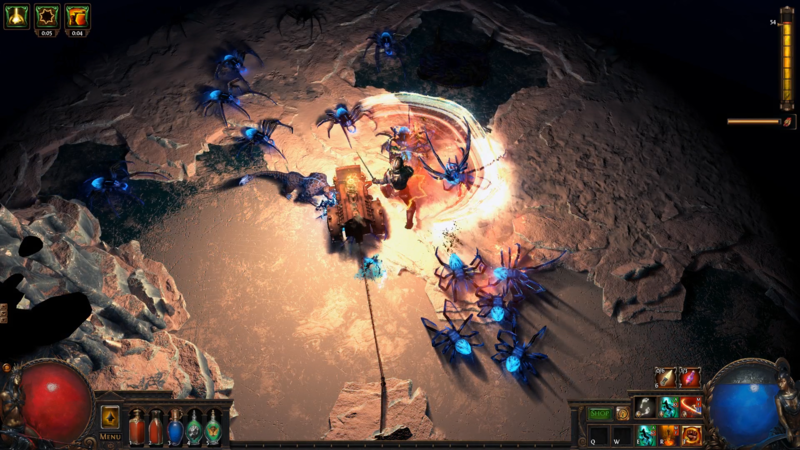 I saw in a video that to delve, you need this material for the light cart, and the material spawns once per zone. 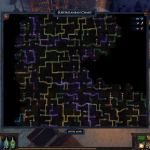 So if you want to do a serious delve, you need to run some maps first to get more of the material. I guess that’s true. I tend to get a little bored running the same few maps over and over, so I’m hoping this mixes things up enough to keep me interested once I hit the 80s. Seems very interesting, but it once more seems a must to play a super fast “speed clear” build, because you need to kill mobs and pick up loot while keeping up with the light machine. Interesting idea but as with everything its all in the execution and well GGG has not always hit the mark so we will have to see how it goes. It sounds like it will be fun barring major nerfs or tech issue. Ive been wanting something like Delves in a game for a long time. I had first considered the idea when I first ventured into the City of Heroes sewer system. I had thought that they might be endless, getting harder and harder to further down I went. Sadly, this wasnt the cast. Since then, ive waited for a game to add something like this… Glad its PoE.